For my artifact analysis, I decided to use "Arpan" instead of something materialistic because of the special place it holds in my heart. In the summer of 2012, after having done a lot of research on the disaster, I started "Arpan", a non-profit organisation which aims at uplifting women from economically weak backgrounds. 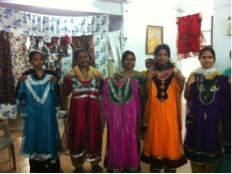 Its core focus is to empower women by honing their skills to generate self-employability. Arpan has a team of professional teachers to impart vocational skills with precision and detailing and provide a platform to learn business skills through various opportunities of customer handling. 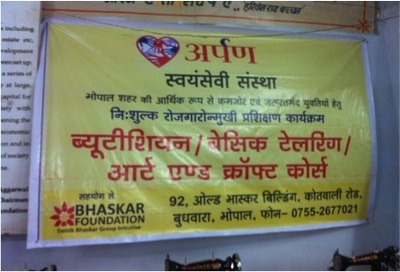 Under its banner, Arpan runs classes for courses such as stitching & tailoring, beautician techniques and handicraft making. We aim to teach women basic skills in these areas for them to be able to work for a living, support their families and become financially independent. Since it is not a very common practice in India for women from low middle-income group to seek employment as a means of livelihood, Arpan has taken the initiative to run regular awareness campaign to help the women understand the importance and need of being financially independent. Admissions are given to women from very poor backgrounds in the age group of 18-35 years and to those who want to settle down financially. Each course lasts 6 months and classes run regularly for 2 hours including practical work in the old city area where most of the students reside. The students are required to pay a commitment deposit of Rs. 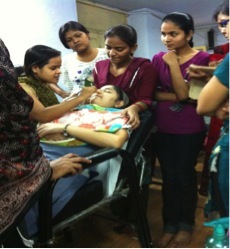 100 (approx $1.60) during the admission process which is refunded to them at the end of the course. During the beginner classes, students are provided with basic materials which are required for the course but are encouraged to bring their own materials such as cloth, recyclable materials etc. 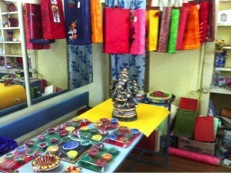 as the course progresses so that they can make their own items and sell them in the market. 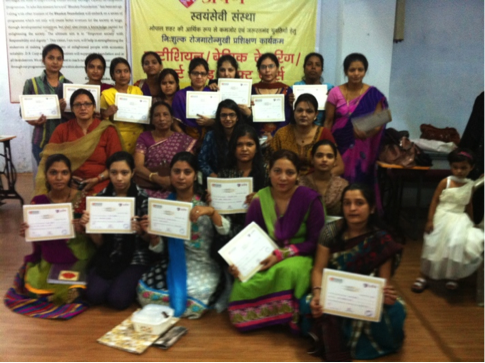 The women are given certificates at the end of the course which identifies them as proficient in their respective courses for them to be able to find employment easily. 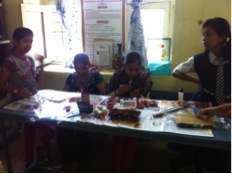 In the future, Arpan hopes to train as many women as we can in not only advanced classes for the current courses but also other areas such as artificial jewelry making, baking and cooking, hand and machine embroidery etc. We would like to focus on courses which are common in the market and require labor. As a person, Arpan has been a really reflective journey for me. Visiting the centre and talking to women and learning about their experiences and has really helped me appreciate what I have been blessed with in life. It is indeed a great feeling of satisfaction to know that you are making a difference in someone's life and that they appreciate it. The joy that these women express after learning something new and accomplishing a task is unbelievable and difficult to describe in words. I hope for the best for all these women and wish that they go way ahead in life.